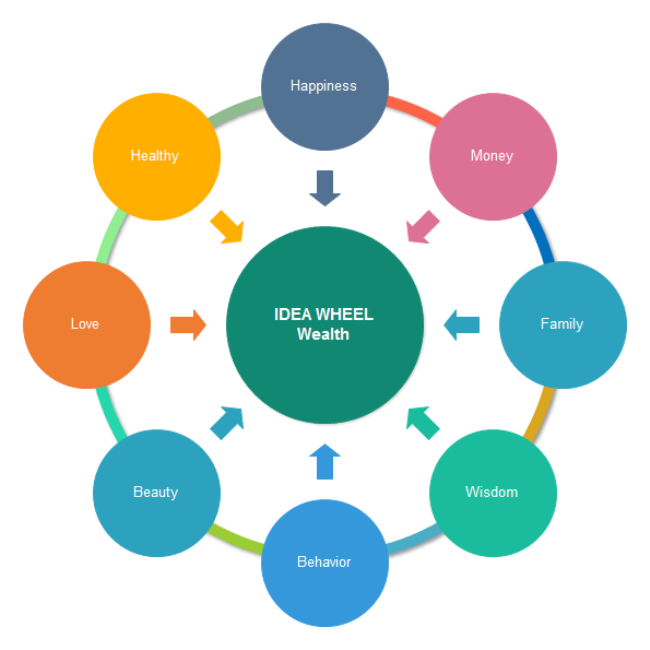 Description: A free customizable wealth idea wheel template is provided to download and print. Quickly get a head-start when creating your own idea wheel. You can easily make it by using pre-defined shapes, and a group of nice themes are available to make the appearance attractive.